Our brief was to create a logo that captured the feel of a newly refurbished piano bar, whilst also encapsulating the original nuance of the hotel in which it’s situated. The Swan Hotel in Harleston was opening a newly furnished events room, The Swift Piano Bar – imaginatively decorated in the theme of a piano keyboard. SBM had previously worked with the proprietor Robin Twigge, helping design and produce seasonal menus. 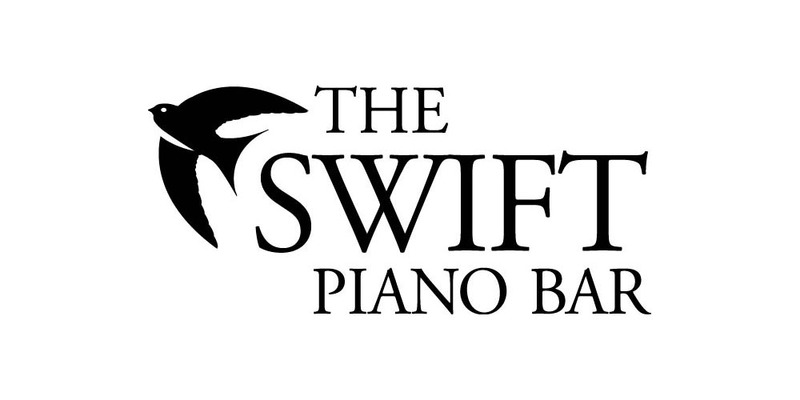 On this occasion, Robin asked SBM to create a logo for The Swift Piano Bar to reflect the decor and feel of times gone by. Working from a relatively small budget, SBM incorporated the style set from The Swan Hotel to harmonise with the piano bar and create an individual logo to advertise their events immediately. Robin, was so pleased with the logo and events postcards we created, that he asked SBM to design his annual August bank holiday music festival flyers. Should you need a logo that visually represents your company, please call us on 01379 676720.